Today I’m in deep editing photographs for a variety of clients, but I couldn’t help pausing to study some fun shots I took at the Washington International Horse Show, held a few weeks ago in Washington, D.C. 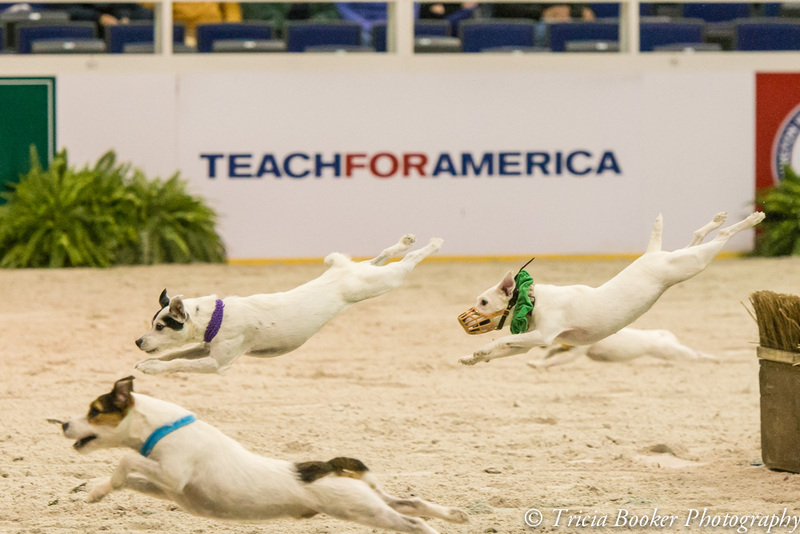 The Jack Russell terrier races are a spectator highlight, and for photographers it’s a fun challenge to try to capture these little guys in full flight. They’re quick and unpredictable, always making me laugh as I watch their crazy antics and athletic feats. 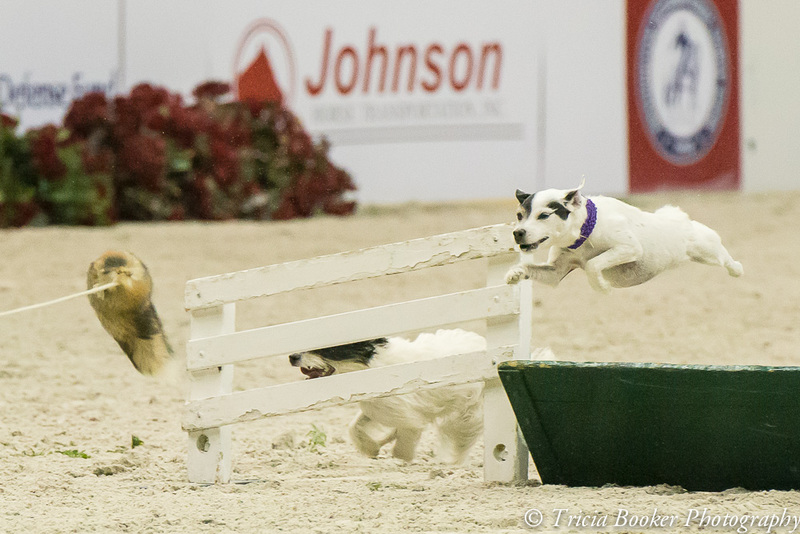 The terrier in the purple collar was the overall winner, and she looked like she loved every minute of the competition! Oh, sweet competition–you’ve captured them in all their exuberance. Thank you, Sally! It’s hard not to smile when you watch them go! Okay, how did you do that. Ginger, my whacky Parsons Jack Russel can only be photographed when she is sleeping or laying around for a split second. I have yet to get her in action. Really nice stuff but why am I not surprised. Hey Elliot! There were a fair number of deletes in this group 🙂 They’re so fast! My favorite photo was soft, unfortunately, but I’ll just have to try again next year! 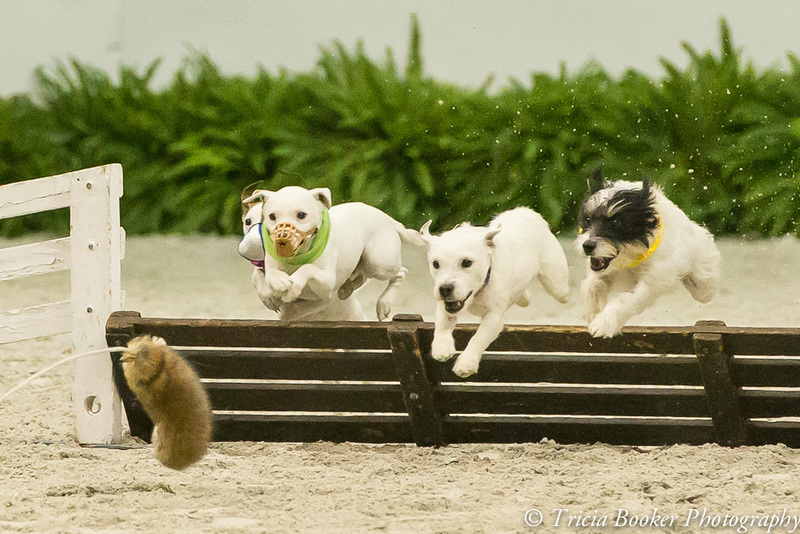 Might your terrier enjoy racing? One of mine raced for a few years but wasn’t all that successful because he hated to be picked up. Once he realized that at the finish line a stranger grabbed him, he was over it. But the ones that do well seem to just love it!